The tennis star had taken a six-month break due to injury, but is back on fine form. 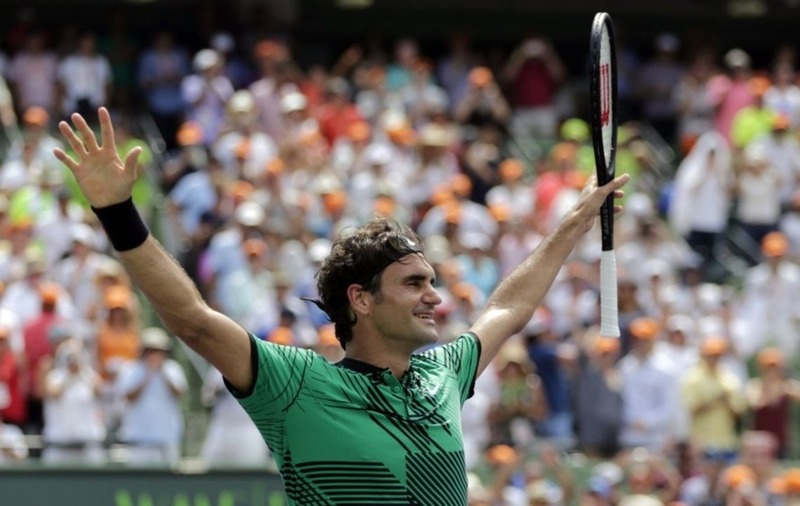 Roger Federer has won the Miami Open title after powering his way to a straight-sets victory. The 35-year-old’s 6-3 6-4 triumph denied Rafael Nadal his first Key Biscayne title, and added to his previous successes at the Australian Open and Indian Wells since his return from a six-month injury lay-off. Roger Federer is unreal, seems to be getting better as he gets older. The greatest tennis player of all time, simple as that. Speaking on court after the match, Federer congratulated his Spanish opponent on his own comeback before admitting he was happy they were in the final together. He said: “This is where it all started for us in 2004 when you were a little boy who grew into a big man and strong man. We have had some epic matches over the years which I didn’t always enjoy, but mostly. “We have had some great battles over the years and in 2005 when I beat you very luckily here in the final, I also probably told you, ‘You are going to win this tournament’ and I truly believe you are going to still win this tournament. Roger Federer defying logic and rejecting sporting mortality. Incredible stuff from the greatest of all time! 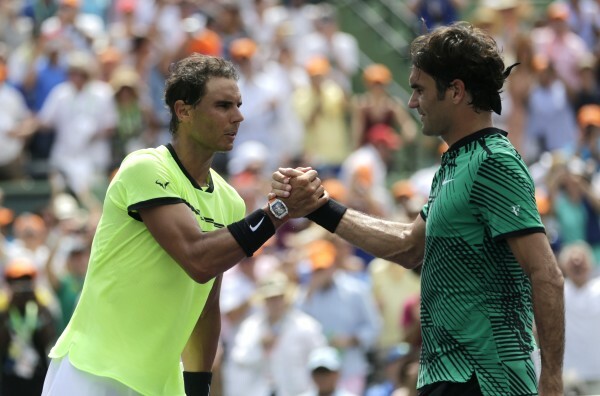 The victory was Federer’s 26th ATP Masters 1000 title – only Novak Djokovic with 30 and Nadal with 28 have won more – and his 91st open era crown.